Learn more about the results of the LEED pilot credit on demand response. This article is the first in a four-part series about demand response. Energy use has long been a focus of USGBC. Historically, LEED energy use strategies focused on efficiency: reducing the amount of energy used to perform a certain task or provide a certain service. As LEED has matured, we’ve given more thought to other ways building owners and facility managers can improve the sustainability of their energy use. In LEED v4, we introduced a new credit for demand response (DR) to encourage building owners and facility managers to take into account not only how much electricity a building used, but also when, and to reward LEED project teams that willingly reduce electricity use during periods of high demand. In 2010, USGBC rolled out Energy and Atmosphere Pilot Credit 8 Demand Response (EApc8) to test the credit requirements and gauge market interest in demand response as a strategy. 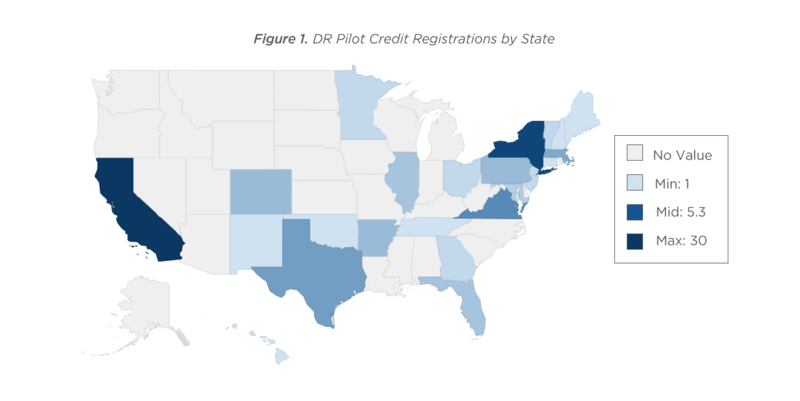 In 2013, USGBC took a closer look at registrations and certification trends for the pilot credit. A few highlights are included below. When it closed in 2015, 270 projects had registered for the pilot credit. These projects represent 11 countries around the world. Within the United States, the highest number of registrations were seen in California and New York. The pilot credit was written primarily for commercial buildings. 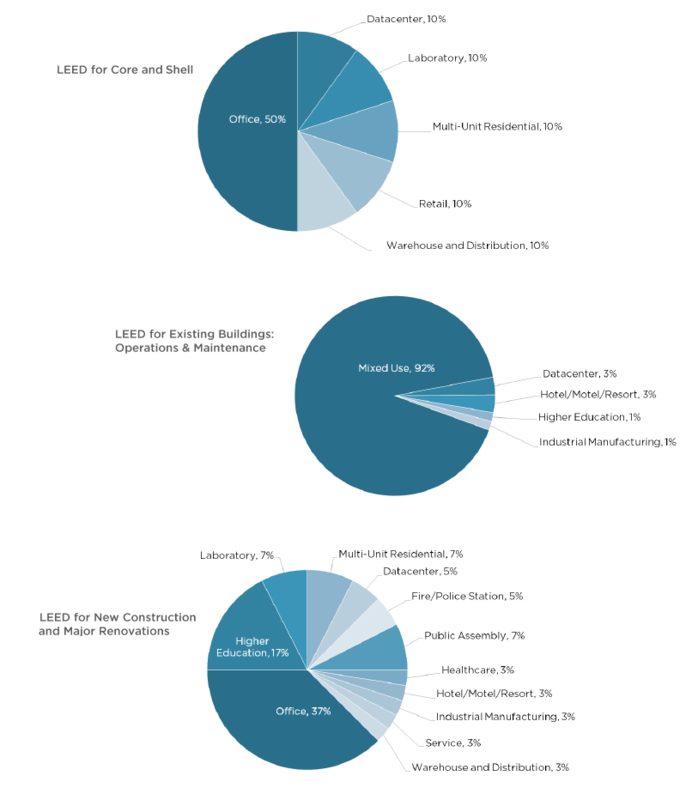 Pilot credit registrations were mostly office and mixed-use buildings, but also included many other project types. Of the projects that submitted the pilot credit for review, there was 96.5 percent achievement rate. Feedback from project teams indicated that the pilot credit was an easy, low-cost strategy for projects with the necessary infrastructure already in place. EApc8 was formally adopted as Energy and Atmosphere Credit Demand Response in LEED v4. In May 2015, the pilot was closed and moved to the LEED Innovation Catalog.